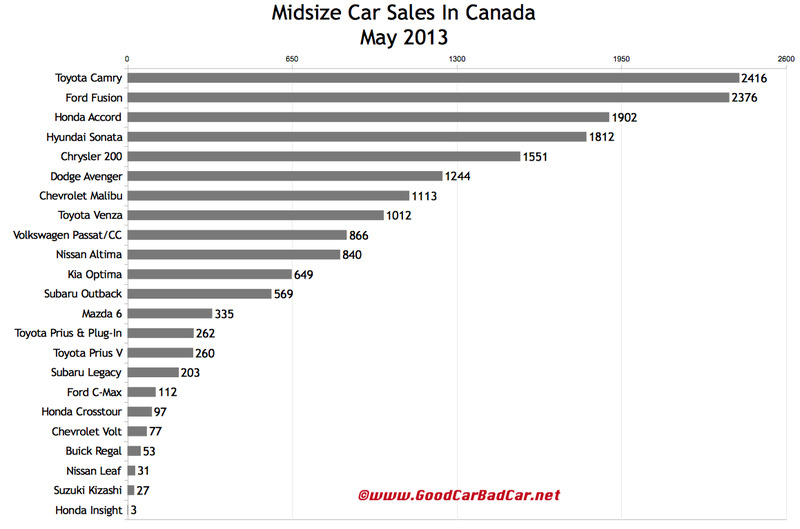 For the first time in 2013, the best-selling midsize car in Canada was not the Ford Fusion. Year-over-year, Fusion sales improved 29%, but the Toyota Camry’s 21% improvement produced a 40-unit victory for last year’s midsize victor. Midsize victory in Canada doesn’t mean the same thing it does south of the border. In America, ending a month as the best-selling midsize car almost always means overall best-selling status. 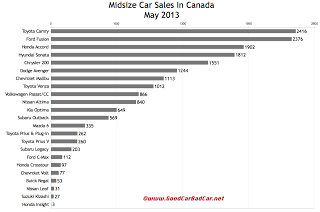 In Canada, the leading midsize car is typically the eighth-best-selling car in Canada. 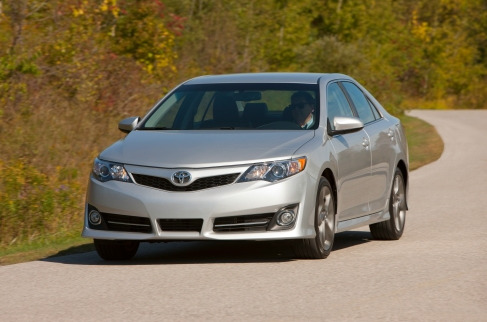 Indeed, the Camry ranked eighth in May, behind the Volkswagen Jetta. The Ford Fusion was Canada’s ninth-best-selling car in May 2013. 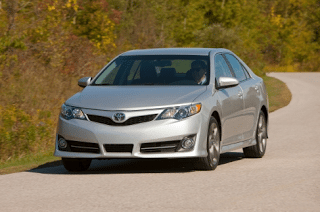 The Camry and Fusion were just two of seven conventional midsize cars to post year-over-year increases last month. Buick Regal sales plunged 76%. May marked the Regal’s 14th consecutive year-over-year decrease. Regal sales have been in trouble ever since the Verano debuted. But the fact is that most people can’t see the Regal as a viable Audi A4 rival, yet its base price (at $36,845, more than the base price of Buick’s bigger LaCrosse) makes it hard for the Buick to battle mainstream cars like the Fusion or Mazda 6. Only 6.2% of the Buicks sold in Canada this year have been Regals, down from 17.7% in the first five months of 2012. Only 0.78% of the vehicles sold in Canada this year have been Buicks, down from 0.84% a year ago. You can click any model name in the tables below to find historical monthly and yearly Canadian sales data. You can also select a make and model at GCBC’s Sales Stats page. These tables are now sortable, so you can rank midsize cars any which way you like. Suggestions on how GCBC should break down segments can be passed on through the Contact page. GCBC isn’t here to break down segments, an impossible task for any group, but to display sales data for the sake of comparison. The more ways sales data can be displayed, the better, right? This explains why you’ll see the Outback and Venza listed with midsize SUVs, too… because readers have wanted it both ways. You can always find the sales results for EVERY vehicle and form your own competitive sets by using the All Vehicle Rankings posts.